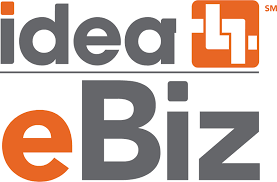 Registration Now Open for IDEA eBiz 2019! IDEA eBiz will be held September 16-18 at the Loews Hotel in Philadelphia, PA.
ARLINGTON, VA – The Industry Data Exchange Association, Inc. (IDEA) announced that registration is open for eBiz 2019. This event is dedicated to eBusiness professionals and will bring together key supply chain leaders through a mix of general sessions, breakout sessions, and networking opportunities. Industry professionals will have various job titles including functions of EDI, sales/marketing, IT, pricing & product managers, data sync, and operations. The event is open to all industry professionals including non-IDEA customers. eBiz attendees are diverse and provide a balanced perspective on key topics. “Whether you’re a first-timer or have attended eBiz before, this will be a completely new experience for everyone. This year’s eBiz will bring together industry experts and provide invaluable learning and networking opportunities to all attendees,” said President & CEO, Paul Molitor. This year’s theme is, “More Information. More Knowledge. More Innovations.” and will be held at the Loews Philadelphia Hotel in the heart of Philadelphia, near top tourist attractions and museums. Additional agenda and speaker information will be available soon. Early Bird rates end on July 31, 2019. To reserve your spot, please fill out the online registration form at idea4industry.com/ebizforum/.